Global Mission Readiness is a non-profit, charitable organization founded in 2009 to provide non-profit emergency services education and resources to public safety agencies worldwide and to promote disaster prevention and self-reliance. The problems around the world are extremely large in relation to emergency services, especially in developing nations. Many countries are grossly underfunded and lack basic government support. 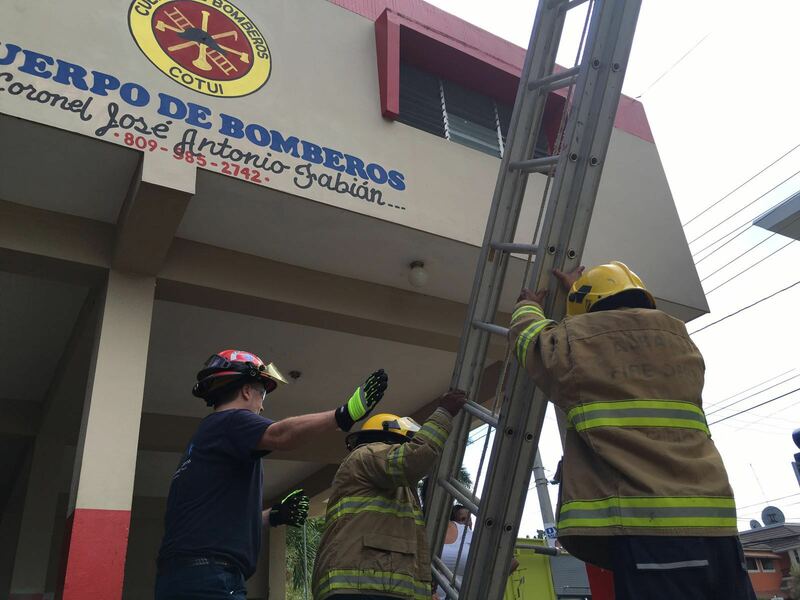 With Global Mission Readiness, we bring education to those in need by providing multiple courses in basic first aid, fire service training, specialty rescue, and disaster preparedness by trained, veteran firefighters and medical professionals. Our emphasis is on self-reliance, so that disaster relief will someday be unnecessary. Global Mission Readiness serves developing nations and many poor, third world countries in need, regardless of race or religious beliefs. We take pride in conducting ourselves with professionalism, sensitivity and respect. Our volunteers are uncompensated and proudly provide non-profit services to educate those who would otherwise not have the opportunity. 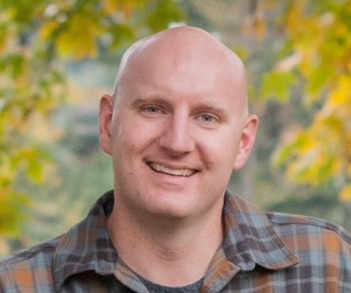 Patrick DeLair is a professional fire officer with Clackamas Fire District #1 located in southeast Portland, Oregon, USA. He has been on multiple emergency services development teams around the world. He was sworn in as the new Chief Executive Officer and Operations Director in January of 2018. Providing training, resources, and equipment has been what GMR is all about. Helping first responders learn to help themselves is what we do. Patrick believes in this and will see that GMR continues down this path. The Global Mission Readiness Board of Directors is an appointed group of individuals that oversee the activities of our organization and provide guidance, vision and long term objectives to ensure our success. Let Honesty, Integrity and Positive Values guide our actions. Be good stewards of public and private resources. Be open to other cultures’ ideas and innovations. Cultivate responder safety and incorporate this as our cornerstone. We cover topics that are pertinent to your system and can design training that is specific to your needs. Patient Lifting, Moving & Extrication. This training encorporates teamwork and instills leadership and confidence within the students. 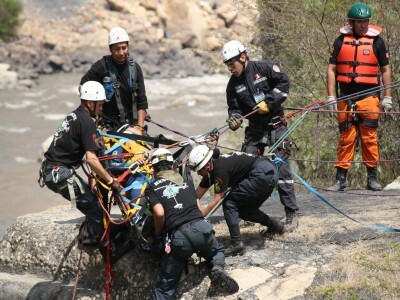 This three-day training curriculum is a hands-on course developed to provide the necessary tools and skills to achieve an understanding of basic shore-based swift water rescue. Teaching progresses in stages from the classroom to outdoor activities, to the swimming pool and finally the swift water site. The students will learn basic fundamentals that will increase their confidence in the water, promote teamwork and emphasize safety. Students who successfully complete all aspects of the training will receive a certificate of completion. 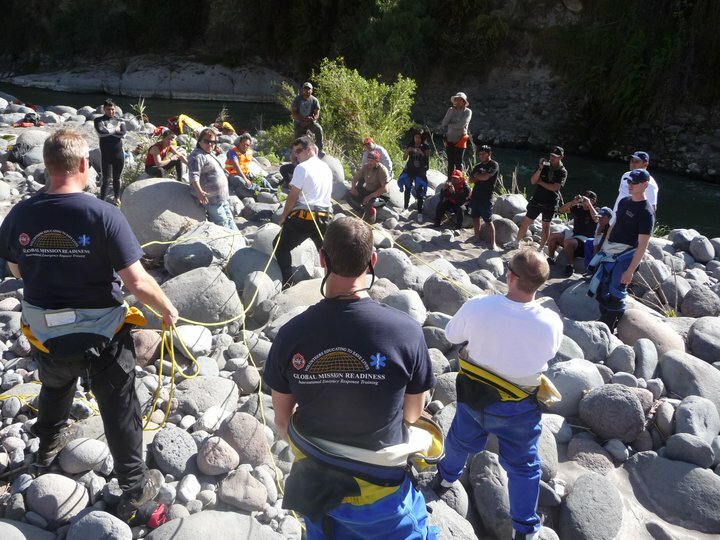 GMR’s Advanced Water Rescue Course is designed for public safety agencies already engaging in swift water rescue operations who have completed our 3 day Basic Water Rescue Awareness Course. The advanced training is taught only by our most highly skilled water rescue technicians in a smaller group. 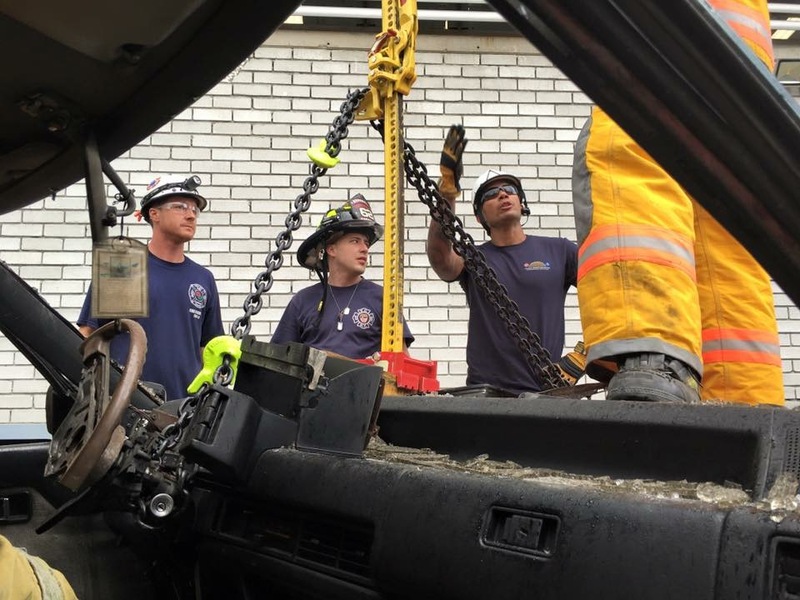 Our Rope Rescue Training is a three-day training course based on CMC Rescue standards (the leader in rope rescue training in the United States). All of our instructors are certified to these standards and are some of the best technicians in the industry. 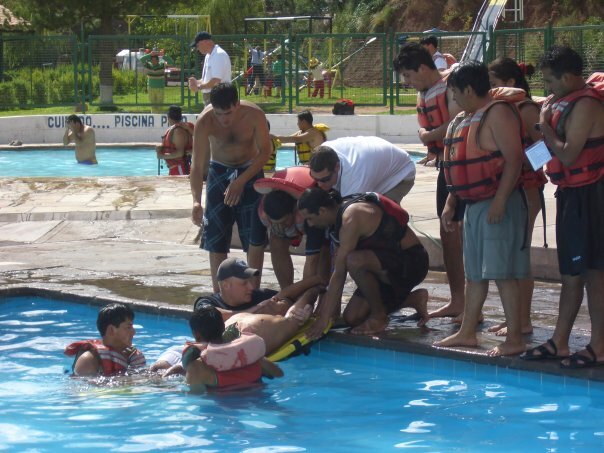 We are extremely grateful to Don Davis, Brandon Paxton and GMR for the Advanced Water Rescue Course in Arequipa Peru held June, 2011. We are very aware that oftentimes in order to accomplish these missions, we have to sacrifice ourselves and our families for briefs periods of time, but the result is so gratifying that even they will be happy with the results and for the goodwill and actions we do. I would like to express that the general impression from the students/participants to this training course is very good and positive, especially since in this part of the country a similar course, such as the one which took place in June, had never been done! The members of the National Police Squad are very grateful for the new techniques used for swift water rescues. Some of them are great swimmers and rescuers; however, with the techniques, they have learned a lot and are thankful for the opportunity to attend such an important course. The idea they have is to have the same group in the not too distant future meet again to practice and refresh their knowledge in order to be always up to date and ready to act. Besides, they have committed themselves to replicate the learnings in their respective institutions or squads. My personal opinion is that this has been a wonderful opportunity for Peru in general, not only for Arequipa. I will anxiously await your comments in order to continue supporting the extraordinary work you do around Peru and the world to make it a safer and better place to live. Hugs and greeting to the whole GMR team! It is with great pleasure that I am writing to you on behalf of the Chiefs of Staff. Heads, Officers, and Sub Officers of the Emergency Division which I am honored to command at the Lieutenant General PNP Jorge Monge Llanos Police Compound located at Jr. Bausate y Meza, Block 6, District of La Victoria in the Province and Region of Lima, Peru. By means of this letter, I would like to express my heartfelt congratulations to you and, at the same time, to thank you for the valuable support which your organization, Global Mission Readiness, has provided to the Peruvian National Police, upon training four different groups of policemen and women from the Emergency Rescue Squad, as well as to those from other units under my command in the training courses Rope Rescue, Urban Search and Rescue and Emergency Medical Services. This will undoubtedly allow us to increase efficiency in the aid of victims on emergency situations, incidents and natural disasters. I must also express my special gratitude for having spent a whole day showing my personnel ways to deal with cases in which law enforcement officers might get hurt during crisis situations and an immediate action is to then be taken by themselves from enemy fire while helping out a partner. …Last but not least, I would like to express my sincere gratitude to your organization and other institutions for donating important, useful and valuable material and equipment to the Emergency and Rescue Department of the Emergency Division which I command and which will help us in our significant task of saving more and more victims involved in emergency situations. Please accept the assurances of my highest esteem and consideration. Kari has been an incredible supporter of Global Mission Readiness since our inception. She specializes in personal income tax returns, especially for firefighters and emergency workers.